A burst of flowers illuminates this pastel frame. Each of the flowers appears hand-drawn, and there's minimal repetition. Some of the flowers overlap slightly with semi-opaque outlines. Every element is beautifully detailed in an illustrated style. Colors alternate from dark brown to yellow and a neutral shade, which sticks out against the mild pink background. 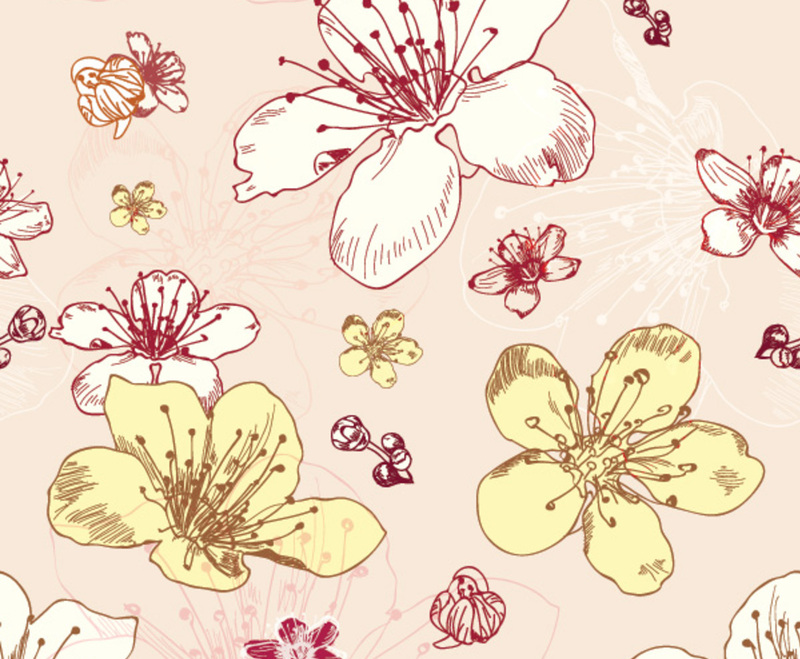 The corners of the image form a seamless pattern, adding some serious versatility to this floral graphic. While many floral designs seem tired and traditional, this background is modern, complex, and aesthetically pleasing. It's easy to customize for a variety of applications.